Rizvan Tu'itahi, bilingual indigenous rapper honouring his cultural roots through language. Ahead of the release of Ngaiire’s 2nd album, we’re tuning in to our Issue 7 cover girl’s latest single & performances. 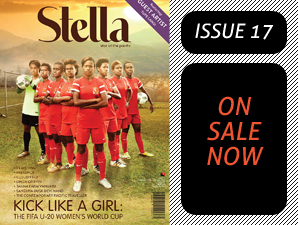 Check out what Stella's Issue 13 cover story BKB are up to now, & the fantastic new solo EP of frontwoman Nattali Rize!